This lovely woman in the magnificent hat is my friend Louise’s grandmother, who was raised in London, England, and after marrying, lived on a farm near Clearwater, Manitoba. Hats do not figure much in the plot of my book, Put on the Armour of Light, which is set in Winnipeg in 1899. But my female characters would certainly have worn one whenever they ventured outside the house. Miss Sheratt, of Pilot Mound, held a Millinery Opening here on the 26th and 27th and naturally, those were busy days with the ladies, and the display of hats was so tempting that not a few of our young men wished they could indulge. My grandparents owned the general store in Elgin, Manitoba, and my grandmother had been trained as a milliner at the Eaton’s store in Toronto. 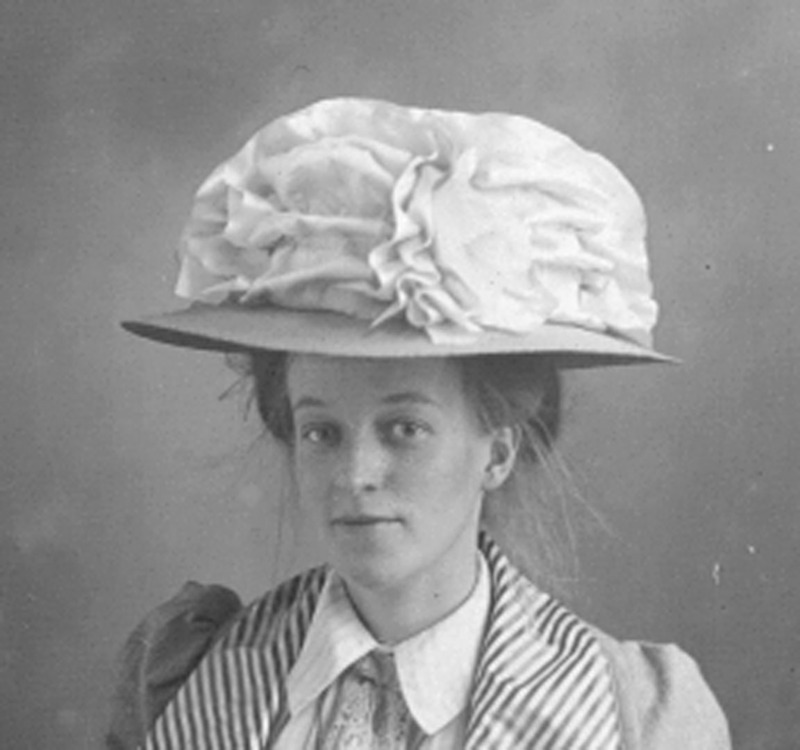 Each year she would travel to the towns up and down the railway line from Elgin, showing off the new hats and taking orders for them. Women would order a basic shape of hat and then request my grandmother to trim it with feathers, lace, netting, ornaments or anything else that would make the hat unique for each customer. Eaton’s could do this as well, through their famous catalogue, but the catalogue could not rival my grandmother for personal service.